Stonebridge homes for sale are located in the Falcon District #49 attendance area. This is one of the fastest growing school districts in the entire State of Colorado. This district features a wide range of programs and activities and has many new schools. People move to the Falcon North area for a wide range of reasons. This area offers affordable new homes and townhomes in a neighborhood setting featuring a wide range of amenities. Additionally, this is one of the few areas close to Colorado Springs that offers equestrian communities. These neighborhoods offer equestrian facilities, riding easements and more. 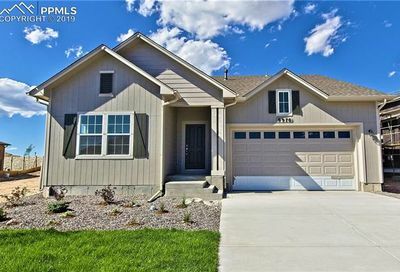 Other neighborhoods in this area include Falcon Meadows, Indigo Ranch, Meridian Ranch, Paintbrush Hills, Trails at Forest Meadows and Woodmen Hills. Get notified of new Falcon North listings! This area was part of the Old Falcon area but rapid growth and development made it necessary to designate this as a separate area. Falcon North, or more commonly know as Meridian Ranch, features a combination of home styles and lot types. Lot sizes range from under ¼ acre up to 5 acres. This area also features communities dedicated completely to the equestrian lifestyle and residents love the Meridian Ranch Rec Center. The rapid growth and development of this area have also spawned the vigorous growth of retail and commercial space in this area. Falcon North is home to big box stores, large supermarkets as well as small local shops. Falcon North is located in the Falcon District #49 attendance area. This is one of the fastest growing school districts in the entire State of Colorado. This district features a wide range of programs and activities. People move to the Falcon North area for a wide range of reasons. This area offers affordable newer homes in a neighborhood setting featuring a wide range of amenities. Additionally, this is one of the few areas close to Colorado Springs that offers equestrian communities. These neighborhoods offer equestrian facilities, riding easements and more. Falcon North which is also commonly known as Meridian Ranch, is a rapidly growing area, offering a wide range of housing options for a wide range of lifestyles. Similar neighborhoods include: Marksheffel/Banning Lewis Ranch. The Falcon North area of Colorado Springs is a fairly new area with a lot of newer home construction. This area is south of Black Forest and northwest of Falcon. This area covers approximately 42 square miles and is in the zip code 80831. Popular neighborhoods in the Falcon North area include Meridian Ranch. Students in Falcon North attend the Falcon School District D49. This school district has 9 elementary schools, 3 Middle Schools, and 3 High Schools. Most students in Falcon area attend schools in the Falcon Zone which includes both Falcon Middle School and Falcon High School. The Elementary Schools in the Falcon Zone include Woodmen Hills Elementary, Falcon Elementary, and Meridian Ranch Elementary schools. The weather in the Falcon North area tends to be a little more extreme than in other parts of the Colorado Springs area due to the drifting snow. Average highs in the winter are in the upper 30’s with average lows dropping down to 15-20 degrees. Summertime temperatures average 77-82 degrees with the lows in the 50s. The Falcon area has very similar weather to the Peyton Colorado area.